MIKRONS® wet grinding batch attritors are suitable for grinding highly viscous material such as latex, chocolate, nut, paste, paint etc. 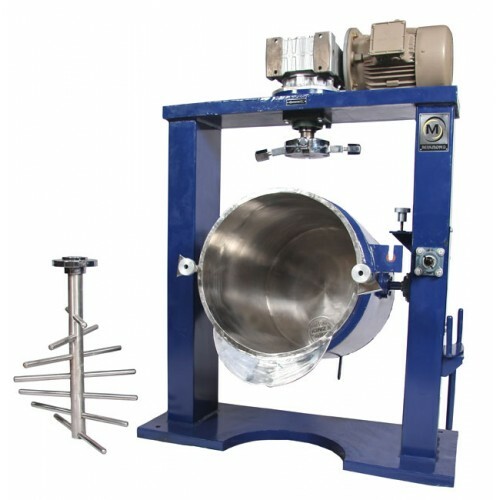 A recirculation pump is provided for discharging the end product from grinding chamber. This aids in accelerated and uniform attrition activity. 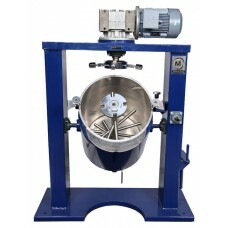 A gear tilting assembly facilitates easy removal of agitator shaft for cleaning. The Attritor is filled with media and the grids restrain the media while the slurry is allowed to pass through. 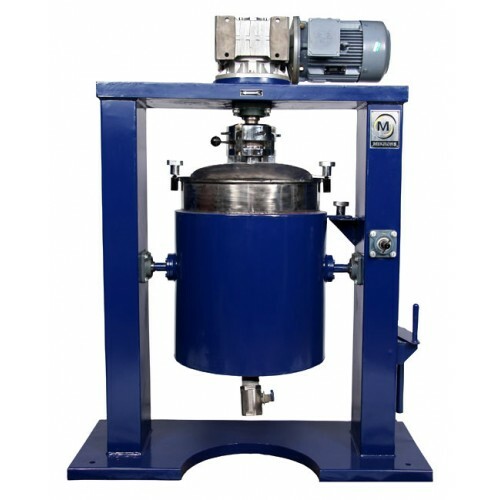 The principle of circulation series is the high circulation pumping rate which forces the entire contents to pass through the Attritor several times per hour. This results in a faster grind and a narrower particle size distribution. 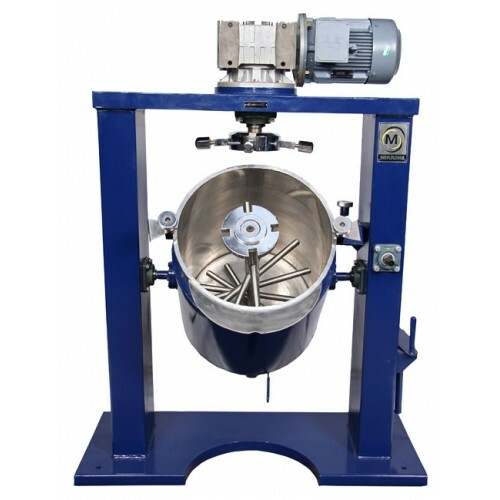 In this circulation process, the material passes through the grinding chamber multiple times until the desired particle size is obtained.